We’re in the midst of a wonderful five day weather pattern. It started on Friday-10/21 (albeit a rather windy Friday), and looks like it will continue right through Tuesday-10/25. Actually, the next ten days look good from a moisture perspective…weather.com and accuweather are only predicting maybe .2″ of rain (30% chance of rain-Tues. evening, and 20% chance-Wed. a.m.) total through next Sunday-10/30. You know, since we’re on the topic of weather I’d like to pass on a little information regarding frost delays…especially considering we had approximately one hour delays on both Friday and Saturday morning. 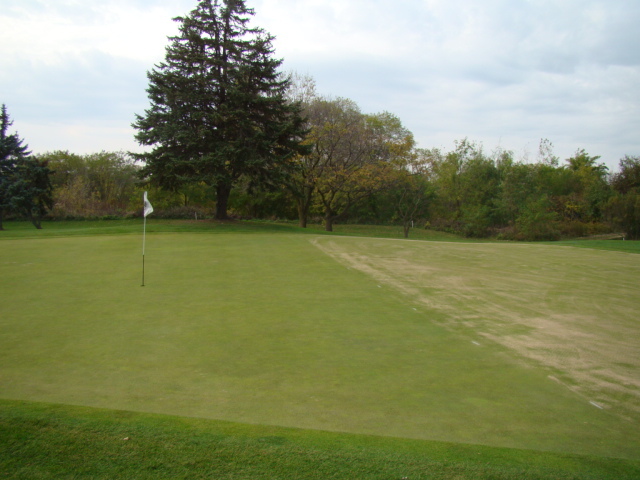 Bear with me please as I share some points from Charles White (Regional Director-USGA Green Section)…”Everyone knows frost must clear off the grass before play can begin, but few people know why. Frost on the grass blades tells us that the water inside the leaves is frozen. Remember that water is the primary component of plant tissue. When the water is frozen, traffic on the turf causes the ice crystals in the cells to puncture through the cell walls, killing the plant tissue. Little damage is done to the crowns (growing points) or roots if only a light frost appears; however, when the frost is heavy, cell disruption may occur at the crown, thus killing the entire plant. Frost damage symptoms include white to light tan leaves where traffic has passed”. Couldn’t have said it better myself (insert a sarcastic cough). 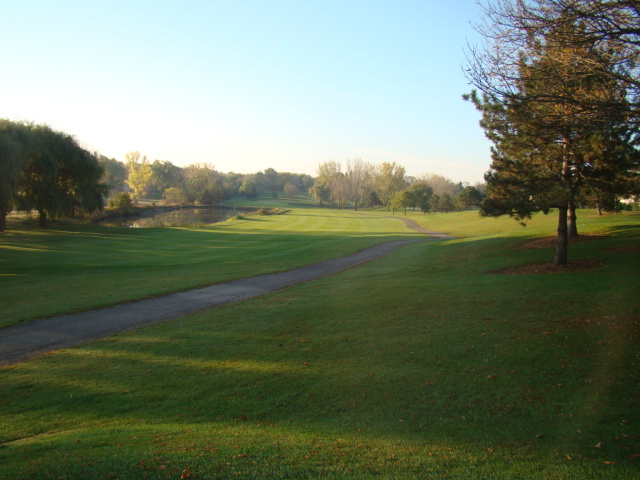 No need to harp any further about frost delays..we appreciate your cooperation on those mornings when play is not allowed until frost has cleared…and obviously that includes the practice tee and practice green areas. Greens aerification has been completed on one half of each green (excluding #15 and #16 which will be done early tomorrow morning). Several members of the men’s club passed along very favorable comments this morning regarding the”half” greens aerification method (I appreciate the comments, it’s something I picked up earlier in my career at another golf course…and was a method of aerification that Hilldale’s General Manager-Bill Salzman was eager to institute here). 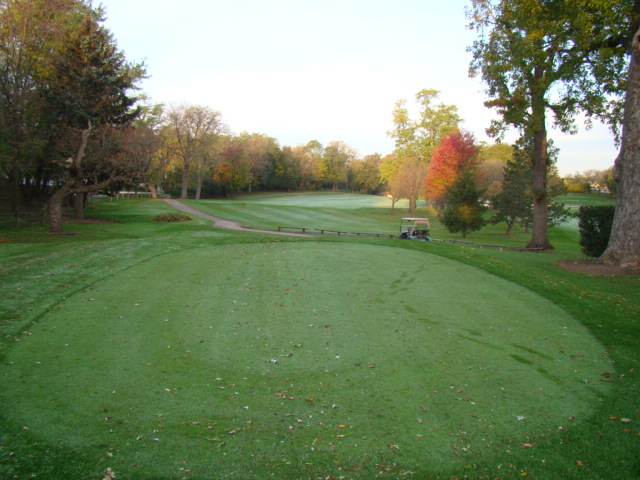 We will also be aerifying several tees/fairways at Hilldale this coming week, but as you know…every effort will be made to complete the clean-up work prior to play. Each day’s agenda will be listed at the proshop first thing in the morning. Hope everyone enjoys the great weather…thanks for coming out. This entry was posted on Sunday, October 23rd, 2011 at 8:10 pm and is filed under Uncategorized. You can follow any responses to this entry through the RSS 2.0 feed. You can leave a response, or trackback from your own site.